AI helps teams streamline contract reviews and focus on more interesting work. Learn more at the AI & the Future of Work Virtual Summit with IBM and WIRED. 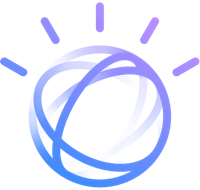 Watson Compare & Comply uses AI to identify and understand relationships among headings, bullets, tables, and text – making complex text easily searchable, regardless of whether the exact terms are used or not. With Watson's semantic understanding, businesses can rapidly analyze and compare contract elements – like obligations, rights, and parties – to flag discrepancies in seconds. Embed capabilities across enterprise functions. Compare & Comply is available on IBM Cloud and IBM Cloud Private, depending on your data management needs. Embed Compare & Comply into existing workflows. Try out the offering on IBM Cloud. Accelerate implementation with IBM and achieve results within weeks. Includes 60 days of on-demand consulting. Watch the demo. Work with IBM software and services experts to embed Compare & Comply across the enterprise. Schedule a consultation.